The Second Vatican Council, in its “Declaration on Non-Christian Religions” (Nostra Aetate), taught that “the Church rejects nothing that is true and holy in [other] religions,” and encouraged Catholics to “recognize, preserve and promote the spiritual and moral values as well as the social and cultural values to be found among them.” Following this direction, the All India Seminar in 1969, which was attended by the hierarchy and representatives of the whole Catholic Church in India, spoke of the “wealth of truth, goodness and beauty in India’s religious tradition” as “God’s gift to our nation from ancient times.” The seminar showed the need of a liturgy “closely related to the Indian cultural tradition,” and theology “lived and pondered in the vital context of the Indian spiritual tradition.” In particular, the need was expressed to establish authentic forms of monastic life in keeping with the best traditions of the Church and spiritual heritage of India. Anticipating the Second Vatican Council and the All India Seminar, “three wise men from the West”––the title given by Br. John Martin referred to Jules Monchanin, Henri le Saux, and Bede Griffiths––founded the pioneer Christian ashram in India, Saccidananda Ashram, which is usually known by its other name, the name of the piece of land on which it is built––Shantivanam. Shantivanam, Saccidananda Ashram, is a Camaldolese Benedictine monastic community in South India. “Shantivanam” means literally the “forest (vanam) of peace (shanti),” and is located near the village of Tannirpalli in the Tiruchirapalli District of Tamil Nadu, on the banks of the River Kavery. It was first founded in 1948 by the French priest Jules Monchanin, who would later adopt the name Parma Arupi Anananda, “the supreme joy of the Spirit,” and a French Benedictine monk Henri le Saux, who was later to adopt the name Abhishiktananda––“bliss of Christ,” by which he would come to be widely known. These monks sought to identify themselves with the Hindu “search for God,” the quest for the Absolute, which has inspired monastic life in India from the earliest times. 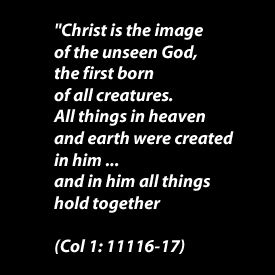 They also intended to relate this quest to their own experience of God in Christ in the mystery of the Holy Trinity. Together, the two wrote a book about their experiment, entitled An Indian Benedictine Ashram, which was later re-published under the title A Benedictine Ashram. The goal of le Saux and Monchanin was to integrate Benedictine monasticism with the classic Indian model of an ashram. They adopted the way of life of an Indian sannyasi (renunciate), wearing kavi (saffron colored) robes and adopting a strictly vegetarian diet. “Saccidananda” is a classic Hindu description/name for the Divine. 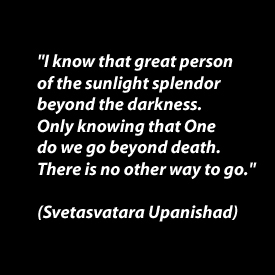 It is literally translated as “being (sat), knowledge or consciousness (chit), and bliss (ananda). It was adopted by Christians such as Keshub Chandra Sen and Brahmadapad Upadaya early as the late 19th century as the name for and an intimation of the Christian Holy Trinity, the 1st Person, normally called the Father, as Sat-Being; the 2nd Person, the Word, which Christians was made flesh in Jesus, as chit–knowledge or consciousness; and finally ananda, the bliss of the 3rd Person, the Spirit. The name of the monastery was a reflection of Jules Monchanin’s attempt to blend Christian and Hindu mysticism together; but it was also a reflection of Monchanin’s firm commitment to Christianity. Monchanin, who was more of an intellectual than le Saux, was hesitant to identify the Hindu Vedanta concept of Advaita–non-duality with the Holy Trinity, stating that “Christian mysticism is Trinitarian or it is nothing.” He did, however, believe that with a lot of work it was possible to reconcile the two mystical traditions, and this was the principle upon which Saccidananda Ashram was founded. This integration of the Vedanta with Christianity is a point upon which these two original founders of Saccidananda Ashram differed. Abhishiktananda was more radical in his thinking: while Monchanin held to the idea of Christianizing other religions, soon on Abhishiktananda (who often referred to Monchanin as his “Christian Guru,”) came to believe that non-Christian religions could transform Christianity itself. A Belgian Trappist monk named Francis Mahieu joined them in 1953, who then went on to found Kurisumala Ashram with Bede Griffiths, an English Benedictine, in 1958. Fr. Bede himself stayed at Saccidananda Ashram in 1957 and 1958. Sadly, Fr. Monchanin died in 1957 while back in France for a medical procedure. As the years went by Abhishiktananda preferred to spend more and more time in the north of India where he had a hermitage in the Himalayas rather than at Shantivanam. So it happened that Fr. Bede Griffiths and a group of monks from Kurisumala in Kerala came and took over stewardship of Shantivanam in 1968. Under his charismatic leadership, Shantivanam became an internationally known center of dialogue and renewal. Fr. 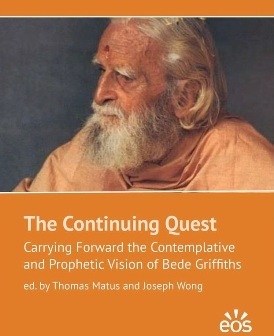 Bede had been officially exclaustrated from Priknash Abbey in England for his first decades in India, and eventually joined the Camaldolese Benedictine Congregation due to his friendship with Don Bernardino Cozzarini, who spent time at the ashram with Fr. Bede and introduced him to the Camaldolese prior general, Don Benedetto Calati, who was very sympathetic to Fr. Bede’s pioneering work. On the feast of St. Romuald, June 19, 1985, two Indian brothers made their solemn monastic profession and one his temporary vows as members of the Camaldolese Congregation of the Order of Saint Benedict, and the ashram became officially a member of that congregation which it remains to this day. Among the gifts given by God to India, the greatest is thought to be that of interiority––the awareness of the presence of God dwelling in the heart of every human person and every creature. This interiority is fostered by prayer and meditation, the contemplative science of Yoga, and way of sannyasa. “These values,” it was said, “belong to Christ and are a positive help to an authentic Christian life.” Consequently it was said, “Ashrams where authentic incarnational Christian spirituality is lived, should be established, which should be open to non-Christians so that they may experience genuine Christian fellowship.” The aim of Shantivanam has always been to bring the riches of Indian spirituality into Christian life, to share in that profound experience of God that originated in the Vedas, was developed in the Upanishads and Bhagavad Gita, and has come down to us today through a continual succession of sages and holy men and women. From this experience of God lived in the context of an authentic Christian life, the community of Shantivanam hopes to continue to assist in the growth of a genuine Indian Christian liturgy and theology. The life at the ashram is based on the Rule of St. Benedict, the patriarch of Western Monasticism and on the teaching of the monastic Fathers of the Church, but the monks also study Hindu spirituality and philosophy (mainly the Vedanta) and make use of Indian methods of prayer and meditation, and yoga. In this way, they hope to assist in the meeting of these two great traditions of spiritual life by bringing them together in our own experience of prayer and contemplation. In externals, the community follows many of the customs of a Hindu ashram, wearing the saffron (kavi) colored robe of the sannyasi, sitting on the floor and eating with one’s hands. In this way, they seek to preserve the character of poverty and simplicity that has always been the mark of the sannyasi in India. One distinctive feature of the life is that each monk lives in a small thatched hut, which gives him a greater opportunity for individual prayer and meditation, as well as creating an atmosphere of solitude and silence. There are two hours specially set apart for meditation, the hours of sunrise and sunset, which are traditional times for prayer and meditation in India. The ashram seeks to be a place of meeting for Hindus and Christians, people of all religions or none, who are genuinely seeking God. For this purpose there is a guesthouse, where both men and women can be accommodated for retreat, recollection, and religious dialogue and discussion. There is a good library, which is intended to serve as a study center. It contains not only books on the Bible and Christian philosophy and theology but also a comprehensive selection of books on Hinduism, Buddhism, other religions and a general selection on Comparative Religion. Many visitors come from different parts of India and from all over the world who are seeking God by way of different religious traditions. The ashram responds by providing an atmosphere of calm and quiet. For those who seek to become permanent members of the community, there are three stages of commitment to the life of the ashram. The first is that of sadhaka, that is the seeker or aspirant. The second is that of brahmachari, one who has committed himself to search for God, who need not remain permanently attached to the ashram. The third is that of sannyasi one who has made a total and final dedication, when the kavi robes are given and one is committed for life to the search for God in renunciation of the world, family ties and one’s self, so as to be able to give oneself entirely to God. This however need not involve a permanent stay in the ashram; in accordance with Indian traditions the sannyasi is also free to wander or go wherever the Spirit may lead. The ashram is attentive not only to spiritual seekers but is also conscious of the poor and the needy neighbors in the surrounding villages. Though the ashram’s primary call is to discover “the kingdom of God within,” it is also deeply proactive to the cry of the poor in their milieu through the words of Jesus “whatever you do to the least of my brothers and sisters that you do unto me.” The ashram runs a Home for the Aged and Destitute; it is involved in educating the poorest children of the community; it also repairs and builds houses for the homeless. Thus the ashram gives free boarding and lodging and medical care to 20 aged and the destitute, and over 400 children receive books, school uniforms and clothes every year. In addition we care for children below three years of age by providing fresh cow’s milk. The community meets for prayer three times a day: in the morning after meditation, when the prayer is followed by the celebration of the Holy Eucharist; then again at midday and in the evening. At each of the prayers, together with psalms and readings from the Bible, there are also readings from the Vedas, the Upanishads and the Bhagavad Gita as well as from Tamil classics and other Scriptures. They make use of Sanskrit and Tamil songs (bhajans) accompanied by various percussion instruments. They also make use of the arati, waving of lights and incense before the Blessed Sacrament and other sacred elements, and several other Indian customs, which are now generally accepted in the Church in India. In this way they hope to assist in the growth of a truly inculturated Indian liturgy. In the Morning Prayer, the forehead or the hands are marked with sandal paste as a way of consecrating the body and its parts to God. Sandalwood is considered the most precious of all woods, and it is therefore seen as a symbol of divinity. As it is also has a sweet fragrance, a symbol of divine grace; it is also a symbol of the unconditional love of God since it gives its fragrance even to the axe that cuts it. As one’s body is marked, we are reminded that we, too, need to give that unconditional love of God to all in our daily living. At the Midday prayer, a purple powder known as kumkum is used. This is placed on the space between the eyebrows and is a symbol of the “third eye” the eye of wisdom in the Indian tradition. As the brothers explain it, “Our two eyes are the eyes of duality, which see the outer world and the outer self, whereas the third eye is the inner eye which sees the inner light according to the Gospel, if thine eye be single, thy whole body shall be full of light. This single eye is the third eye, which was often marked on Greek icons of Christ, and is thus a universal symbol. In India the red colour is considered to be feminine, the mark of mother goddess. We consider that it symbolizes the feminine wisdom, which we attribute it Our Lady of Wisdom.” Midday prayer is a wisdom prayer consisting of the Wisdom Psalm 118 and a reading from one of the Wisdom books of the Jewish scriptures. At the Evening Prayer ashes known as vibhuti are used. The symbolism here is not merely like that of Ash Wednesday––“Dust thou art, unto dust thou shalt return”––but has a deeper meaning as well. Ash is the final product of the matter from which the impurities have been burnt away. Placing the ashes on the forehead signifies that our sins and impurities have been burnt away and we have become the purified self. At each of the prayers, an arati is offered before the Blessed Sacrament. Arati consists in waving of burning flame and/or incense in a circular motion before any sacred object or person as a sign of honor worship. In the central shrine in the temples of India the inner sanctuary is always kept dark to signify that God dwells in the guha, the “cave of the heart.” And the burning flame waved before the shrine reveals the hidden God. So the burning flame is waved before the Blessed Sacrament to manifest the hidden Christ therein. After venerating the Blessed Sacrament, the flame is then brought around and each member of the assembly places their hands over the flame and takes the light of Christ to their eyes by. Every Hindu puja consists in the offering of the elements to God, as a sign of the offering of all creation to God. Just so at the Eucharist at Shantivanam, in a rite that is deeply appreciated by many visitors, at the Preparation of the Gifts during the Eucharist an offering is made of the four elements, water, earth, air and fire, as a sign that the whole creation is being offered to God through Christ as a cosmic sacrifice. The presider first sprinkles water round the altar to sanctify it, and then sprinkles water on the people to purify them. Then finally he takes a sip of water to purify his own inner self, before offering the “fruits of the earth and work of human hands”––the bread and the wine. Next eight flowers are placed on the tali–the sacred plate on which the gifts are offered. These eight flowers, which are offered while Sanskrit chants are being sung, represent the eight directions of space and signify that the Mass is offered in the “Center” of the universe thus relating it to the whole creation. This is followed by an arati with incense representing the air and then with camphor representing fire. Thus the Mass is seen to be a cosmic sacrifice in which the whole creation together with all humanity is offered through Christ to the Father. all sacred studies and holy life seek. that Word is the highest end. It is the supreme means of salvation. It is the help supreme. one is great in the heaven of Brahman. For us Christians, of course, that Word is Christ. Collins, Paul M. (2007). Christian inculturation in India. Liturgy, worship, and society. Ashgate Publishing, Ltd. ISBN 978-0-7546-6076-7. Cornille, Catherine (1992). The Guru in Indian Catholicism: Ambiguity Or Opportunity of Inculturation. Louvain Theological and Pastoral Monographs 6. Wm. B. Eerdmans Publishing. ISBN 978-0-8028-0566-9. Coward, Harold G.; Goa, David J. (2004). Mantra: hearing the divine in India and America (2nd ed.). Columbia University Press. ISBN 978-0-231-12961-9. Kim, Sebastian C. H. (2008). Christian theology in Asia. Cambridge University Press. ISBN 978-0-521-68183-4. Robinson, Bob (2004). Christians meeting Hindus: an analysis and theological critique of the Hindu-Christian encounter in India. Regnum studies in mission. OCMS. ISBN 978-1-870345-39-2. Teasdale, Wayne (2001). The Mystic Heart: Discovering a Universal Spirituality in the World’s Religions (5th ed.). New World Library. ISBN 978-1-57731-140-9. Trapnell, Judson B. (2001). Bede Griffiths: a life in dialogue. SUNY series in religious studies. SUNY Press. ISBN 978-0-7914-4871-7. Monchanin, Jules; le Saux, Henri (1951). An Indian Benedictine Ashram. Tiruchirapalli: Saccidananda Ashram. Vattakuzhy, Emmanuel (1981). 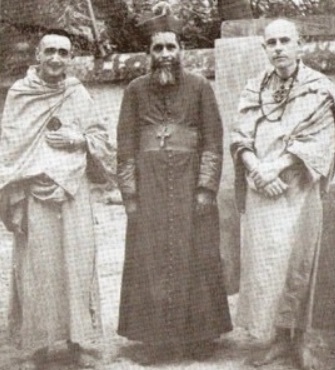 Indian Christian sannyāsa and Swami Abhishiktananda (doctoral thesis). Theological Publications in India. Elavathingal, Sebastian (2000). “Saccidananda Ashram — Narsinghpur: a New Paradigm for Inter-Religious Dialogue”. TM 3: 67. Elnes, Eric (2004). “June 25–27, Days 53–55: Shantivanam Ashram”. Eric’s Sabbatical Journal. Scottsdale Congregational United Church of Christ.